Check these pocket sliders off of your promotional list! 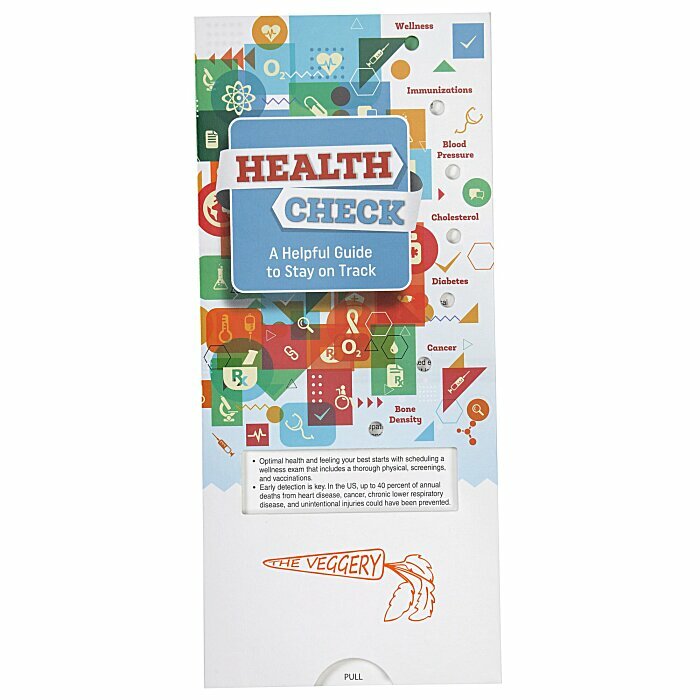 Educate your audience about personal health checks. Each slide of the card reveals information about a different topic—simply grasp the pull tab to peruse each title. There are titles on both sides of the card, so don't forget to flip it over. This pocket slider is ideal for mailings and fits perfectly in a #10 envelope. The promotional slider guide is printed on UV-coated card stock for durability. Your price includes a one-color imprint on the lower front.